Also known as Tuk. 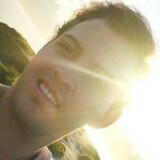 Interests: IT Security, Reverse Engineering, BlackBerry® and Playstation® 3 Scene, TV Series, Flamengo and Running. Feel free to follow me! QuarkChain — Is This New Crypto Blockchain Pure Quackery or Pure Genius?